John McEwen was born on 29 March 1900 at Chiltern in Victoria, to pharmacist David McEwen and Amy (Porter) McEwen. His mother died after the birth of their second child in 1901, and his father died in 1907. McEwen and his younger sister were raised by their grandmother, Ellen Porter, who ran a boarding house. They lived first at Wangaratta and then moved to Dandenong in 1912. At the age of 13 McEwen left school and helped support the family, working at a local wholesale pharmaceutical supplier. In 1914, the family moved to Balwyn, where McEwen studied at night school. After two years of classes he qualified for entry to the Commonwealth Public Service. At the age of 16 he started work at the Crown Solicitor’s Office in Melbourne. A former clerk in the Crown Solicitor's Office, Melbourne, John McEwen enlisted in the First AIF in the last year of World War I (1918). He later became active in the Victorian Farmers' Union and the Victorian Country Party (National Party) McEwen was elected to the House of Representatives in 1934 as a Victorian Country Party representative, but he soon shifted his allegiance to the federal Country Party, which was the junior partner in the coalition government led by Joseph Lyons. McEwen was narrowly beaten for the Country Party leadership in 1939, losing to Arthur Fadden. But he was successful in 1958, when he succeeded Fadden as both Party leader and Deputy Prime Minister. McEwen became Prime Minister on 19 December 1967, replacing Harold Holt, who had disappeared while swimming off the Victorian coast. 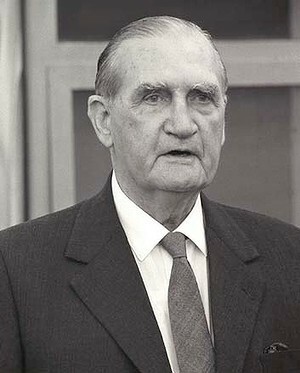 His period in office was short, ending on 10 January 1968 when the Liberal Party chose John Gorton to be its leader. Sir John McEwen, often referred to as “Black Jack” died at Toorak in 1980. McEwen had hoped to enrol at the Royal Military College at Duntroon, but instead applied for enlistment in the 1st Australian Imperial Force when he turned 18. He was called up on 9 August 1918 and was in camp awaiting embarkation for France when the armistice was declared. Working as a farmhand, McEwen picked up sufficient experience to obtain a qualifying certificate and apply for land. He astutely chose a larger block (86 acres, 35 ha) at Tongala, rather than one of the smaller holdings which beggared many of his colleagues. To obtain some capital he worked as a wharf labourer in Melbourne. He survived drought and a rabbit plague in 1919, improved his property by tenacity and unremitting hard work, and led what he recalled as a 'rough and ready' life, living in a humpy and spending solitary nights reading by the light of a kerosene lamp. In 1919 McEwen joined the Victorian Farmers Union, one of the most influential of the primary producers groups that founded the Country Party the following year. . At Ballavoca, Tongala, on 21 September 1921 he married Annie Mills McLeod; they were to remain childless. She worked with him to develop the farm. Len has lived in Stanhope for most of his life, a carpenter by trade, he was the maintenance manager at the local milk processing factory for many years. He married his wife Shirley in 1959 and they have three sons, six grand children and six great grand children. He has served as a Councilor on the former Waranga Shire and as a Justice of the peace. However, Len’s main interests have been his long involvement with the following three organizations. Joined the Stanhope Urban Fire Brigade in 1948, rising through the ranks to brigade captain for six years. A member of a training team conducting seminars for other brigade members. He was a keen supporter of the competition team which had many successes. He was part of a relief team which helped control the bush fires at Swifts Creek in 1967. He is past president of the ex fireman’s association of Victoria. He received the Queen’s long service and good conduct medal, presented with the Fire Brigade National Medal in 2002. Len is a life member of the Country Fire Brigade. Len first played in 1945 at the age of 11 in the under 17s graduating to the seniors four years later. 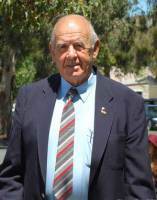 He was a committee member for many years, coach of the under 17s in the Goulburn Valley League and the under 12s. A member of the social committee, raising funds for the club. A trainer for many years. Len still works on the gate at home matches and was made a life member of the club in 1983. Len was a member of the Mardi Gras committee for its entire existence of 32 years. The Mardi Gras, held on the evening of every New Years Night raised funds for improvements at the Stanhope Swimming Pool and Recreation Reserve. Shirley first came to Stanhope as a young child from Gippsland. Her father was employed at the Girgarre cheese factory and Shirley attended the Rushworth Higher Elementary School. They have three sons, six grandchildren and six great grandchildren. 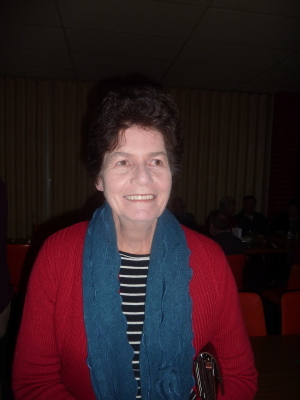 All her married life Shirley has been a tireless worker for the Stanhope Community being involved in the following organisations, often as secretary or treasurer, or sometimes both. • Stanhope Fire Brigade Auxillary. Shirley has been involved in numerous aspects of town life, including the business and sporting communities. Her generosity as a volunteer with her time and energy has endeared Shirley to many Stanhope residents, both old and young. 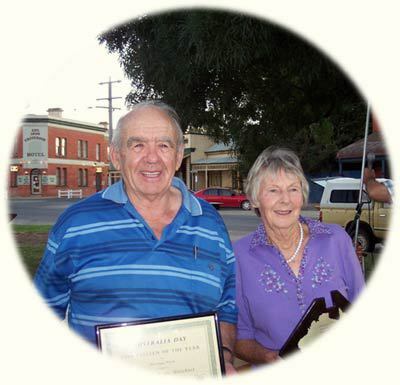 Bob & Floss were jointly awarded the “Australia Day Citizens of the Year” for their community work in the Waranga Ward of the Shire of Campaspe in 2009. Bob and Floss were married in 1955 and lived in Clayton, a suburb of Melbourne, before moving to Stanhope to take up Dairy Farming in 1964. At that time they had three young children two boys and a girl. In 1968 another son was born. Floss gained employment as a teacher at the nearby Rushworth High school, a position she held for 27 years. In 1980 Bob became ill and they had to leave farming and moved into their present home in the Stanhope township. 1965 - 1676 Member of Stanhope Swimming Pool Committee. President for 8 years. 2001 - Present. Secretary, Stanhope & District Development Committee. Inc. Under Bob’s leadership the S&DDC has been responsible for the acquisition of the former National Australia Bank property for the Stanhope Community, the establishment of the Stanhope Business Centre including a Rural Transaction Centre. The return of a retail butcher to Stanhope, and the return of banking services. The fund raising and the successful establishment of a permanent memorial to the memory of the late Sir John McEwen, former Prime Minister of Australia and resident of Stanhope for more than fifty years (This memorial was unveiled by the deputy prime minister the Hon. Mark Vaile) The S&DDC has also been responsible for many smaller and very successful projects. 2012 - Chairman of the Whroo Cemetery Trust. 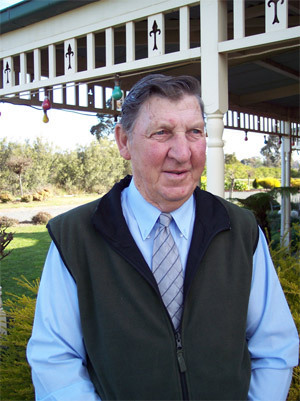 After leaving school at the age of 14 and following 16 years in the building industry in Melbourne, together with his young family, Bob moved to Stanhope in the Goulburn Valley of Northern Victoria to take up Dairy Farming in 1964. During his 51 years in Stanhope Bob has held numerous positions on a variety of community and industry bodies – all in a voluntary role. Dairyfarming & the Dairy Industry. 1976 - Unsuccessful candidate for the inaugural State Presidency of UDV. 1976 - 79 President of Stanhope Branch UDV. 1980 - Retired from Dairyfarming, due to ill health. However, was invited to address various rallies of Dairyfarmers in the Goulburn Valley and Melbourne on a number of occasions during the 1980’s. Salinity Control & Land Degradation. During his involvement in the dairy industry, he was responsible for considerable research into Salinity & Land degradation in Northern Victoria and Southern NSW. He chaired the very first public meeting ever held in Victoria to discuss this major problem. Following his retirement from the Dairy Industry, he opened the “Stanhope Drapery” in his local town, which he operated for 6 years. This included stock management and general running of the business on a day by day basis. He employed staff for the duration of the business. During this time he opened “Hollies Family Drapery” in the Craigieburn Shopping Centre. This venture proved to be unviable and he closed it after only 9 months of operation. 1982 - 86 President of The Stanhope Chamber of Commerce & Industry Inc. He was elected president of the Stanhope Chamber of Commerce in 1982 and during the ensuing 4 years the membership of the chamber doubled. A number of promotions were held and the traders of Stanhope were extremely successful during this time. This was recognized by other Chambers, and he was invited to speak at various towns throughout Northern Victoria. He rejoined the Chamber in more recent years and acted as secretary for two years. 1991 - 1994 President, Goulburn Regional Tourism Association. 1993 - Assisted in the restructuring of the Country Victoria Tourism Council: Elected Senior Vice President. 1994 - Founded “Discover Victoria” Tourism Wholesalers. 1995 - 1997 Member of Echuca- Moama Tourism Association Committee. 1995 - 1999. Founded the “Australia-Wide Travel Services” group. This brought all his tourism interests under this one umbrella. During 1999, he decided to semi retire and move his office back to Stanhope. He was still operating the “Discover Victoria” web site as a hobby. He spent a lot of his time answering queries about Victoria from all over the world. 2001. He retired completely from the tourism industry. Floss is a member of the Stanhope and District Development Committee. She has been very active with the Waranga News, of which she is the subscription manager. Floss has been a member and secretary of the Friends of the Hostel Committee since its inception. She is also involved with the Anglican Church and the Stanhope Opp Shop, Stanhope Deb Ball Comm, and was very involved in the Stanhope Scouts. Bert Pattison was awarded the Order of Australia Medal in 1981 for his services to the community. 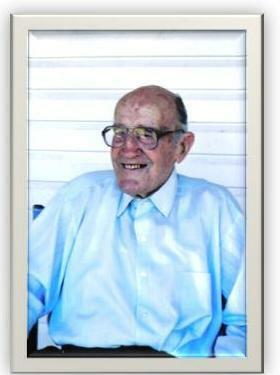 Bert Pattison, affectionately known locally as “Banjo” was one of the most public spirited citizens of his time. There were few Stanhope organizations that Banjo was not involved in at some time or other. Banjo devoted many years of service to the Stanhope Football Club, playing from 1927 – 46. He coached from 1937 – 46 and afterwards took on administrative positions as Treasurer for 16 years. Senior Vice President for 16 years and President for 3 years. He was Team Manager and Head Trainer for 6 years. He also coached Stanhope and Goulburn Valley under 17s. 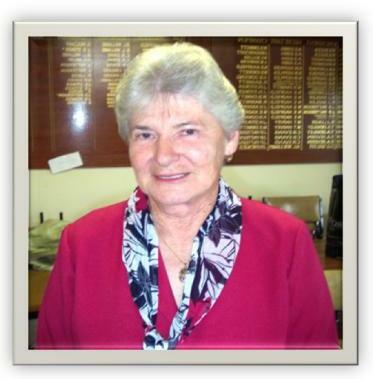 Banjo served as a delegate to the Goulburn Valley League (GVL) for 31 years. Stanhope Football Club made him a life member in 1955. The GVL honoured Banjo by naming the thirds Best & Fairest Award “The Pattison Medal” and made him a life member in 1970. For his record 53 years of service to football, the Victorian Country Football League honoured him with their Service Award in 1969. 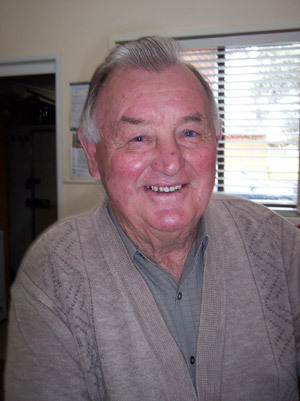 Cycling was another of Banjo’s interests in which he excelled, being a member of the Kyabram and Waranga Cycling Clubs, culminating in being awarded Life Membership of the Victorian Amateur Cycling Organisation. He was very involved with the Stanhope Recreation Reserve Management Committee for more than 30 years, being president for 21 years. 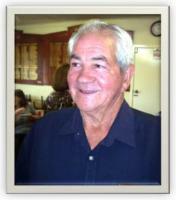 He was an inaugural and long serving member of the Mardi Gras Committee, an active member of the Stanhope Lions Club. 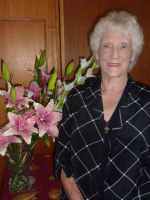 A member of the Tidy Town Committee for 7 years during which time Stanhope received 7 awards. Much can be attributed to Banjo whose daily routine included tending the many trees and plants to beautify the town and it’s approaches. Deservedly he was presented with the “Keep Australia Beautiful” award for outstanding community concern and action towards preserving the environment. Tom Ryan was born in Port Lincoln, South Australia on 7th November 1924. He did all his schooling in Port Lincoln. During his school years and working life Tom played a lot of football. In 1948 he decided to come to Melbourne and try out with South Melbourne. He played a total of sixty one games with South Melbourne before coming to Stanhope as a playing coach. Tom coached Stanhope for three years in the Goulburn Valley League in 1953 – 54 & 55. Tom then became a share farmer on a Stanhope Dairy farm. He eventually bought the farm in 1966. Whilst playing football for South Melbourne, Tom married Wilma Johnston in 1966 at Port Melbourne. They had four children, Gayle, Michael, Raelene and Shane. Wilma passed away in 1993. Tom, who is now retired and lives in the Stanhope township, enjoys keeping an eye on his grandchildren. He also plays the odd game of bowls. A member of the Stanhope Lions Club for 27 years in which he held most club positions including 2 years as president, 4 years as treasurer and 6 years as secretary. Keith was a member of the Stanhope Recreation Reserve Committee of Management for 25 years - 19 years as secretary/treasurer. Keith was involved with the Stanhope Kindergarten from its inception and president for 6 years. He was also a member of the hard working “Tidy Towns” committee - 7 years as president, 2 years as treasurer and 3 years as secretary. The Stanhope Football Club saw Keith as a committee person for 5 years when Stanhope was in the Goulburn Valley League and again when Stanhope moved to the Kyabram District League. Other organizations Keith Has been involved n have been the Goulburn Valley Sports assembly for several years, from its inception - The Rushworth S.E.S. – The Stanhope South Primary School - National Disaster Group (Shire) and the Stanhope Public Park committee. Keith has been a blood donor for many years. Graham was born in East Melbourne in 1948. His parents were sharefarming on a dairy farm at Heidelberg at the time. He is the eldest of four, he has three sisters. His father and mother took up one of the first soldier settlement farms at Waaia north of Shepparton. He lived there till he was 14, then the family moved to Tongala, where he finished his schooling. After working on a farm and on the local shire as a roller driver he went to Mount Isa to work at the mines for a year. He met Patricia in Bendigo and was married in 1971. They have two sons and three grand children. After sharefarming in the Kyabram district for four years Graham got a job with Goulburn--Murray Water. They moved to Stanhope in 1977 when he was promoted to Senior Baliff and lived in the baliffs residence on the Midland Highway..
Graham worked for Goulburn--Murray Water for over 28 years He retired from G-M W.in 2003. In 1992 he started to learn the Bowen Soft Tissue Therapy Technique. He has gone on to complete his Diploma in Bowen, one of the very first and few who have achieved this. In 1994 they built a home on 90acres on the west side of Stanhope where they still live. 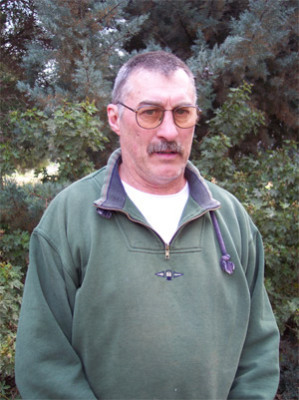 Graham has a love of horse riding, western reining and trail riding. He has been a member of the Rushworth Concert Band for over 25 years. He plays the E Flat Bass, the didgerido and guitar.He was secretary of the band for 6years. He was involved with junior cricket and junior football as his sons were growing up .He was a member of the Rushworth Historical Society. He is a member of Landcare and the farm where they live is a Land For Wild Life property. 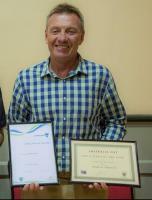 Graham was nominated and recieved the Citizen of The Year for the Shire of Campaspe 2006/2007. Some of the reasons people gave for nominating him were that he makes a highly valued and often unseen contibution to the community, gives his time and skills at no charge to assist people in need. He is selfless, caring, and humane. His tenacity and ingenuity in developing solutions appropriate to the people and their needs. People have become aware of the contrbution that he has made and continues to make to Stanhope and the wider community in a very quiet unassuming manner. Lastly Graham has a jolly sense of humour and always enjoys a laugh. Margaret is the eldest daughter of local farmers, the late Sam and Ethel Styler.She raised her family in Stanhope, worked locally in the fruit and vegie shop, then in the local pharmacy. After training as a nurse’s aide she remarried and moved to Shepparton, working at the G.V.Base hospital. After retiring from the hospital, where she worked as a Theatre ward clerk, she returned to Stanhope to enjoy her retirement. This quiet achiever was not ready to slow down, her compassionate and caring attitude was about to be released on the Stanhope community. Whether a listening ear, a reassuring word, and a cup of soothing tea or just that happy smile they all come freely to all. It doesn’t matter if you are the local policeman, the church priest or someone less fortunate, everyone is treated equally. Margaret is church warden for the Church of England, St.Matthews, Stanhope. She is also the manager of St.Matthews opportunity shop, a job she does with much pride. 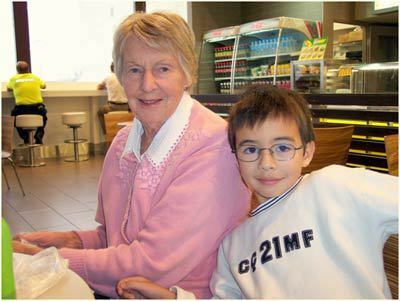 She has been a carer, helped with Deb balls, has been actively involved with the HIV/AIDS resource group, respite carer for the disabled and terminally ill, helping less fortunate families and individuals. Margaret’s latest venture involved training with the Stanhope Community Emergency Response Team. Many hours of training and practise now means Marg wears the uniform and is on the roster of this very worthwhile community organisation. What a year Carmen, from Stanhope, has had. Then to Melbourne, Bendigo & Ballarat as a member of Shepparton High School brass and Wind Symphony bands, who also bought home 1st, 2nd & 3rd placing. 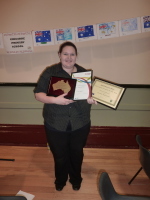 In July, Carmen again competed in Melbourne solo competition coming home with a 1st & 3rd placing & also won Victoria State Solo Champion for Cornet. Travelled to Adelaide as a member of the Shepparton Brass Band to compete in the national titles for bands in which they were placed 2nd. The School band has also toured to Sydney playing at the Sydney Opera House & Queensland in recent years and are hoping to tour Tasmania early next year which Carmen will be a part of. Carmen is 2011 school music captain helping with fundraising amongst other duties. In August, Carmen was asked to play in Notre Dame College's production of Jesus Christ Superstar as well as soirees at Mooroopna & Shepparton High School. She was selected to participate in Orchestra Victoria's workshop & concert held over 2 days in Shepparton, with students selected from around Victoria. Carmen was asked to again play in the Victorian State Schools Spectacular, this time as a leading trumpeter, travelling to Melbourne from June to September for rehearsals. This years show was called "Show Time 2011" there were 2 shows, both being held on September 18th at Hisence Arena. 2 days after Show Time finished, Carmen participated in the Dookie 3 day Music Camp, where she has been a regular for many years. Following the Dookie music camp it was head down, tail up, for a few weeks studying for her year 12 exams which happened in late October early November. However, the traveling didn't stop, 2 of Carmen's exams were held in Melbourne. 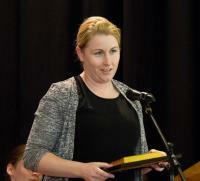 She was also asked to join the Goulburn Valley Concert Orchestra who perform regularly. She was also asked to be a member of the Honour's Band. The band was put together from players throughout the region and recently played all the principal's conference in Melbourne as well as other functions. Earlier this year Carmen travelled to Melbourne to be part of the James Morrison work shop, where James spoke about his trumpeting; they even got to try out different trumpets. Like all busy people, Carmen has had to decline many invitations to play, due to clashes with other performances. Carmen spends on average 4/5 nights/days/weekends at various band rehearsals. Carmen hasn't decided if she will take a year off next year before starting a 4 year Masters degree in music on completion & depending where that leads she may decide to do a further 3 year course to become a Music Therapist. She ahs recently been asked to join a Melbourne Brass Band when she goes to Melbourne & she will no doubt join orchestras through the degrees sh will be doing. She would like to follow a solo career as well. She has the talent, she is getting the contacts, she has the determination, she is going places. Carmen is a young achiever. A great effort for a young girl with a severe hearing problem. Carmen's favourite quote. ''I would rather die than live without music"
Over the past 6 years it has cost her parents in the region of $45,000+ and approx. 100,000km traveling, taking her to rehearsals, competitions, productions ect. There is a lot of waiting around, fitting in, rescheduling and financial sacrifices for her. Christine is a highly valued and respected member of the Stanhope Community. 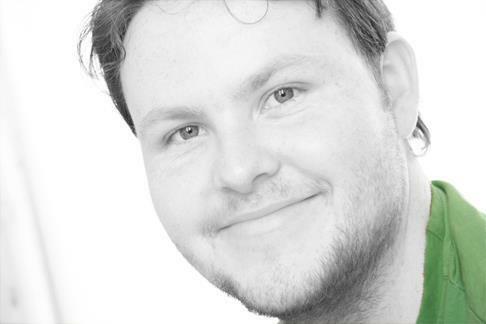 Donald Campbell is a 26 year old classically trained singer who has lived his whole life in Stanhope. He has been sharing his incredible talent for many years in Stanhope and around the Shire of Campaspe, as well as further afield. He has entertained at Newcomers' Nights, CWA meetings and dinners, Senior Citizens Pleasant Afternoons, Lions' Club Changeovers, Masonic Lodge Dinners and Installations, and also Stanhope Heritage Day. He was also invited by the Shire of Campaspe a few years ago to sing at the "Stanhope Heritage Art Collection" which combined an Art Exhibition of George Rathbone's paintings with a classical concert featuring a classical group of musicians "The Raga Dolls Salon Orchestra" from Melbourne. He also sang for many years at the Waranga Hostel's annual concerts and their "Pleasant Sunday Afternoons". He was a regular performer at Rushworth's popular Possum Walks Weekends - singing in the Open Mic Nights in the Senior Citizens Rooms, Opera in the Aisles (in the Rushworth Supermarket) and also at the Rotunda. He has also been singing at Australia Day celebrations for many years - having sung at Girgarre, Rushworth and Stanhope and one year managed to sing at all three!! He has been the regular and reliable entertainment at Stanhope's own Australia Day event for many years as well as annual performances at Stanhope's Carols by Candlelight. (He also entertains at other Carols by Candlelight's throughout the area each year). Donald is also a member of the Turaton Music Company which performs around the Goulburn Valley and has done concerts in Stanhope, Rushworth and Stanhope over the years. He has been having singing lessons since the age of 11 years and has won many awards, including several at Dillmac Entertainment in Kyabram where he had lessons for many years as well as the Bendigo Eisteddfods and the prestigious South Street Competitions in Ballarat. Although Donald entertains around the Goulburn Valley and further afield he is always happy and willing to show his talents at any local events he is invited to. He just sings for the love of it. Kerrie coaches with the Stanhope/ Netball Club where she has coached the under 17 netball team to three consecutive premierships, with a remarkable 54 game winning streak. Kerrie was described as treating her young protegees with respect and instils a strong sense of sportsmanship and clean play and brings her own exceptional on-court skills to her coaching, meanwhile remaining honest, direct, humorous and approachable. She uses sport to boost the confidence of her young players and as a toll in teaching life’s lessons surrounding accountability and good relationships. Members of the Stanhope & District Development Committee (S&DDC) were delighted to learn their nomination, Andrew Hipwell, was declared Citizen of the Year in the Rushworth District and also Citizen of the year across the Shire of Campaspe. These awards were presented to Andrew at the Australia Day Ceremony in Rushworth. The S&DDC considered Andrew to be a very worthy recipient of the awards, following his efforts of the past few years, in bringing a great deal of awareness of Stanhope across Victoria and Australia. His work with the young people of the Stanhope District, through his and their involvement and participation with Auskick, has been greatly appreciated by many parents. Members of the S&DDC were absolutely delighted to see that Andrew has been fittingly recognised for his tremendous work during the past few years. ”We were very encouraged with putting forward Andrew’s nomination, when we received so many supporting letters from the various organisations Andrew was involved with, which brought so much recognition Australia - wide to Stanhope”’. These supporting letters came from Dairy Australia, Fonterra, AFL, Murray Goulburn region, the Stanhope Primary School and parents of children involved with Auskick. 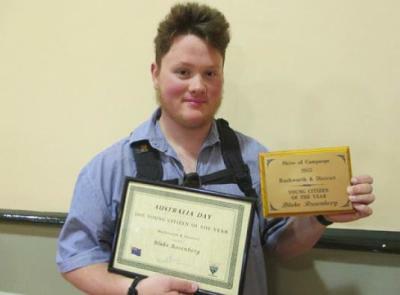 Blake Rosenberg was awarded the Rushworth & District Young Citizen of the Year award at the Australia Day Ceremony at Rushworth. 16 year old Blake from Stanhope, attends the Rushworth P.12 College where he is officially the school’s photographer. He also volunteers to photograph Australia Day, Anzac Day and the Rushworth Easter Festival. His photographic work has also featured on calendars published by the Shire of Campaspe and local Federal Member of Parliament, Sharman Stone. Blake was described as a model student setting a fine example to other students. His contribution to his home town and extending to Rushworth has been significant and broadly encompassing.